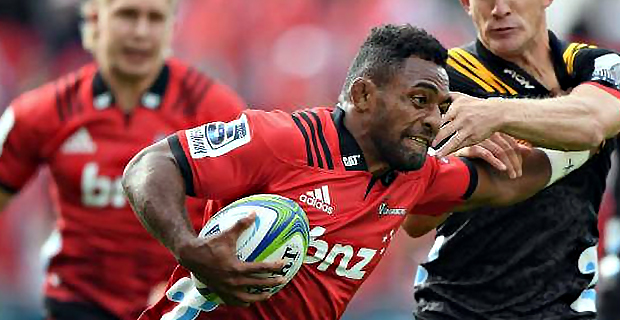 The Crusaders have beaten the Highlanders 43-17 in the Super Rugby last night. The reigning champions overturned a 7‑10 halftime deficit to notch their seventh win of the season, and for those keeping count, their 24th straight on home soil. Sevu Reece once again showed his class as he scored one try and made a try assist. In another match last night, the Stormers beat the Rebels 41-24.
while the Brumbies will face the Lions at 9.45pm. In matches tomorrow, the Sharks will play the Jaguares at 1.05am while the Bulls will face the Reds at 3.05am.